Progressive Rock Drumming explores many of the techniques used by the founding prog drummers and shows how drummers can create their own drumset parts based on these techniques, while also demonstrating how multiple and very different drumset parts can be created for the same music. 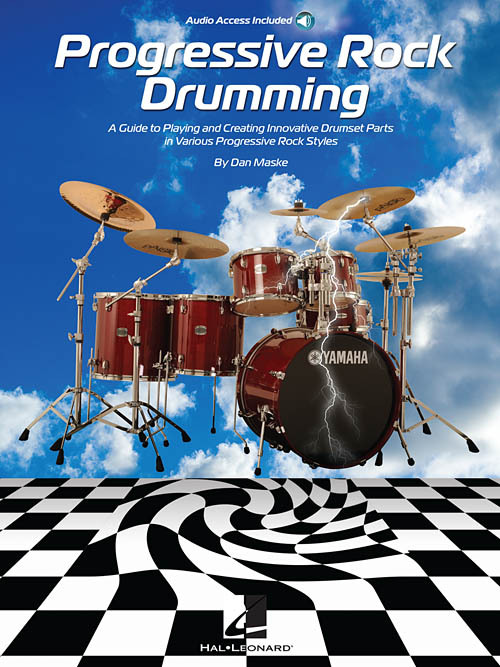 While this book explores some advanced techniques, it also teaches the reader how to create original and inventive drumset parts without the need to play in a demanding virtuosic style. The book addresses a wide variety of progressive rock styles, including such subgenres as symphonic, classical, fusion, neo-progressive, progressive metal, Rock In Opposition (RIO), and space rock. The package includes access to audio of demo tracks as well as play-along tracks (with and without drums) for nine songs in various prog rock styles. The book includes charts for all of the songs that have written-out drum parts as well as condensed band parts to help one see how the drum part relates to the song, resulting in a very musical approach to progressive rock drumming.